Geologging is great to capture more details about visited places and trips. I personally love this feature and recommend to use the new homescreen widget of PhotoMap to quickly adjust the update interval or turn on/off the integrated geologger. 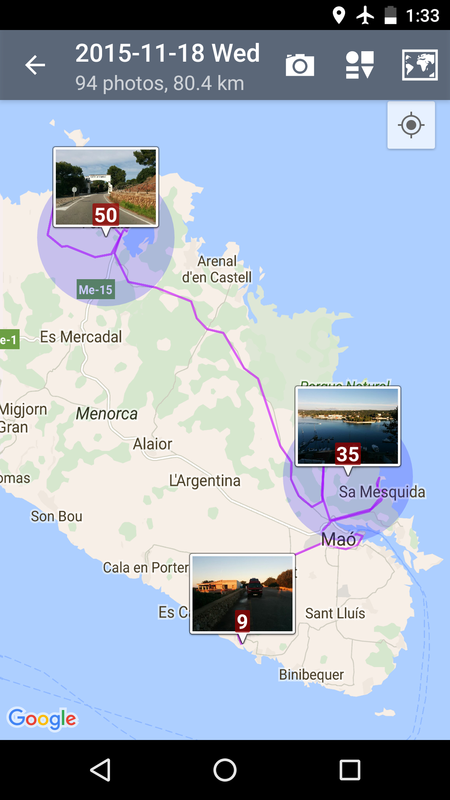 A trip that has been tracked with the integrated Geologger of PhotoMap. 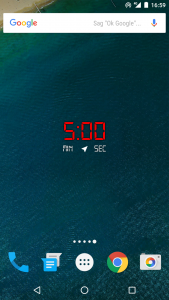 The screenshot below shows the new widget with an update interval of 5 minutes. By tapping on the widget, a new activity is started that lets you select a new update interval. Just tap on the 0.5, 1, 2, 5, 10, or 30 to adjust it. If you are on a trip, you may want to set the interval to 30 seconds to get a detailed track. If you’re staying at home for several hours you might want to change the interval to 30 minutes or turn off the geologger. The shorter the interval the higher the battery consumption. The widget makes it very easy to change the geologger settings. 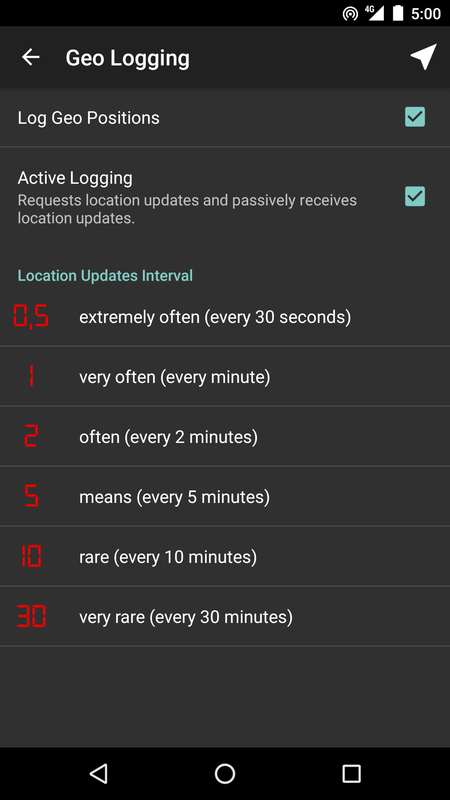 By pressing the item in the upper right corner you’ll be redirected to the advanced geo logger settings. 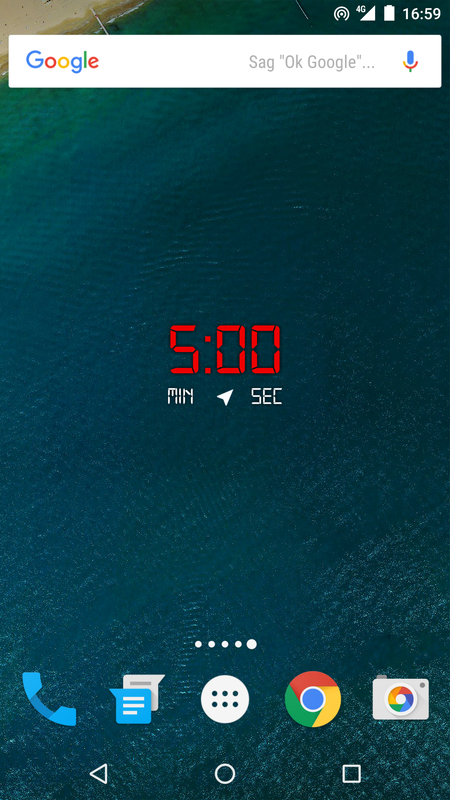 Need help to add a widget to your homescreen? Just take a look here.